Today's card uses the Freshly Made Sketch#147 here. A Round Array is the stamp set with some Back to Black DSP. 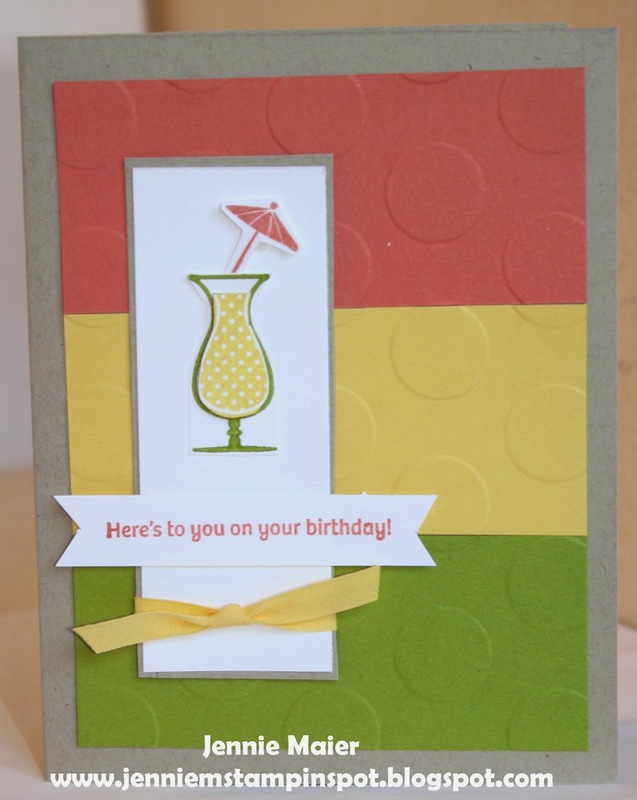 This birthday card uses the MojoMonday#356 here. 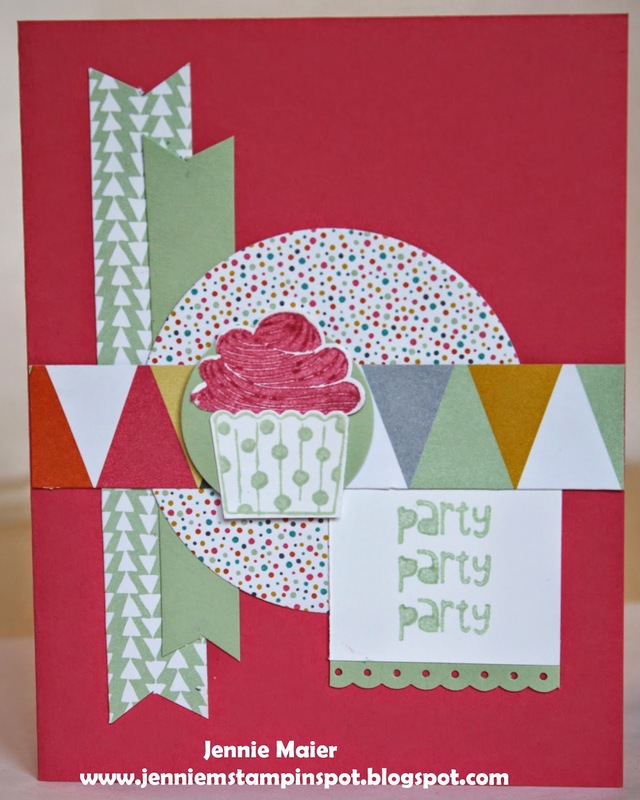 Cupcake Party is the stamp set with some Confetti Celebration DSP. This card uses two challenges. First, the FabFriday#46 here. It's a color challenge to use Daffodil Delight, Strawberry Slush and Coastal Cabana. And second, the Clean and Simple Stamping FTL#301 here. Memorable Moments and Something to Say are the stamp sets with some Brights DSP Stack. 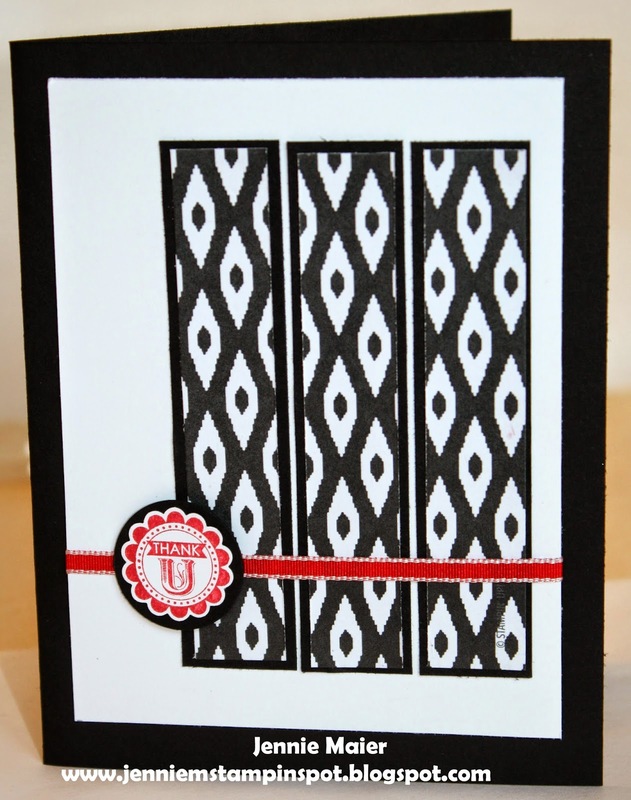 This card uses the Splitcoast Sketch#498 here. 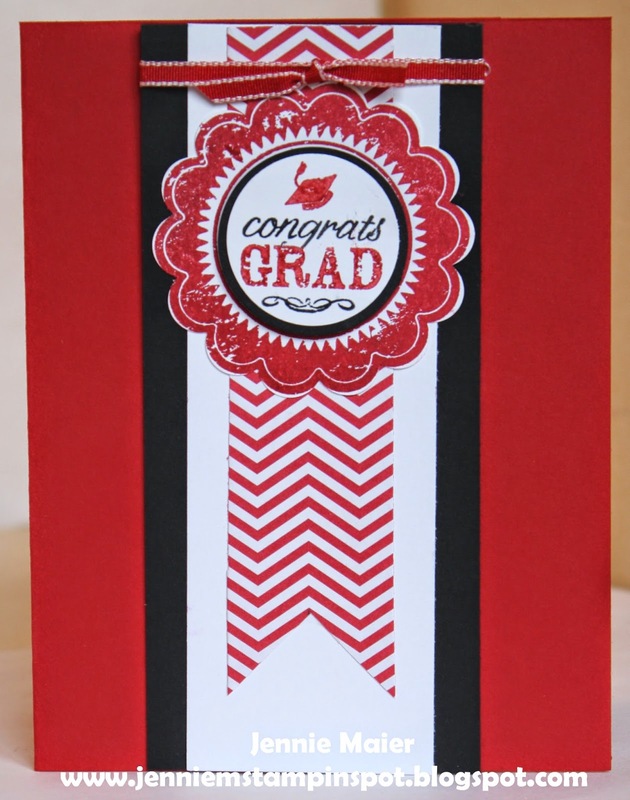 Perfect Pennants and A Fitting Occasion are the stamp sets with some Flashback DSP. This birthday card came together really quick with the PPA#213 sketch here. Label Love is the stamp set with some Confetti Celebration DSP. This thank you uses the Freshly Made Sketch#146 here. Mixed Bunch and Itty Bitty Banners are the stamp sets with some Flowerpot DSP. Here's a clean and simple thank you using a sketch and color challenge. First, I used the Clean and Simple Stamping FTL#299 here. 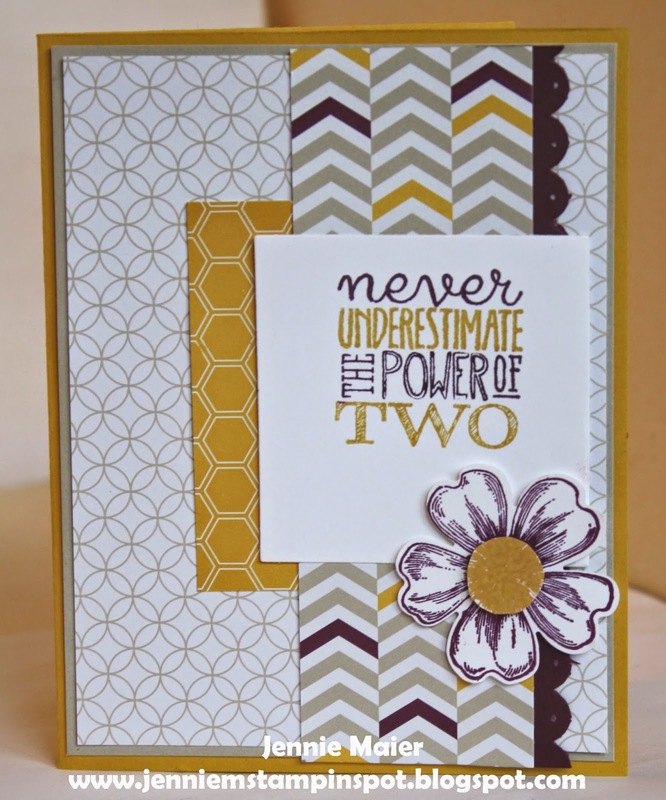 And second, the Create with Connie & Mary Challenge#312 here. That one is to use the colors Hello Honey, Blackberry Bliss and Sahara Sand. 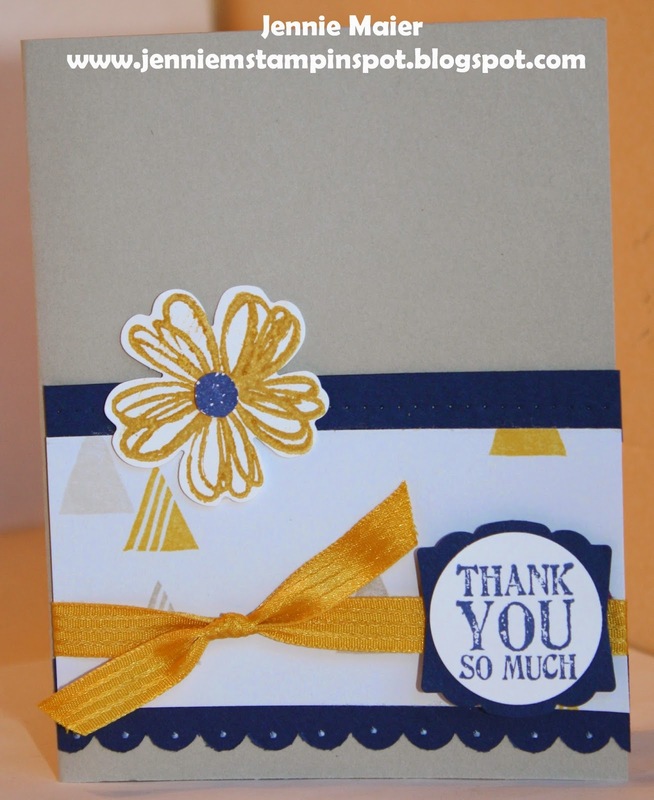 Lots of Thanks is the stamp set with some Moonlight DSP Stack. This thank you uses the PPA#212 here. It also uses the Six-Sided Sampler stamp set and some Back to Black DSP. 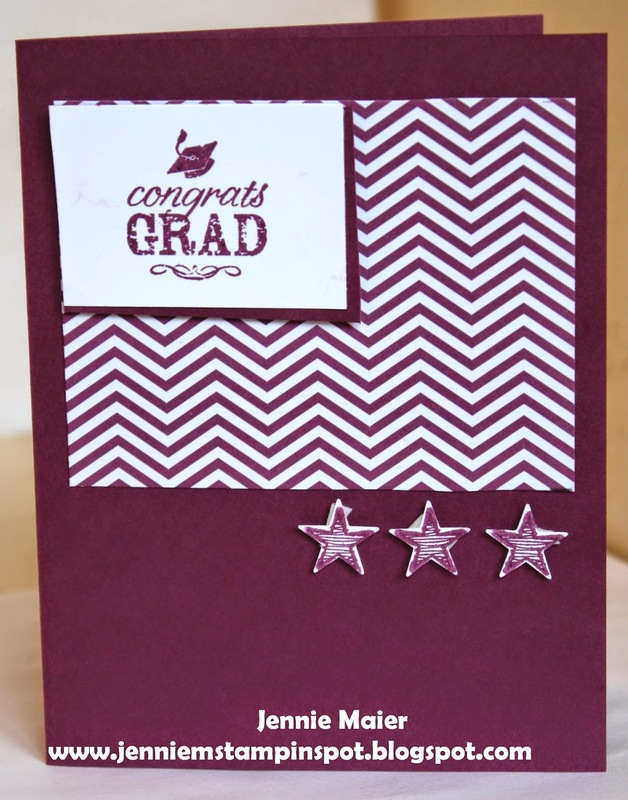 The final graduation card! For this year at least. This one uses the Splitcoast Sketch#497 here. Blue Ribbon and Something to Say are the stamp sets with some Brights DSP stack. Almost done with the graduation cards! This one uses the Freshly Made Sketch#145 here. 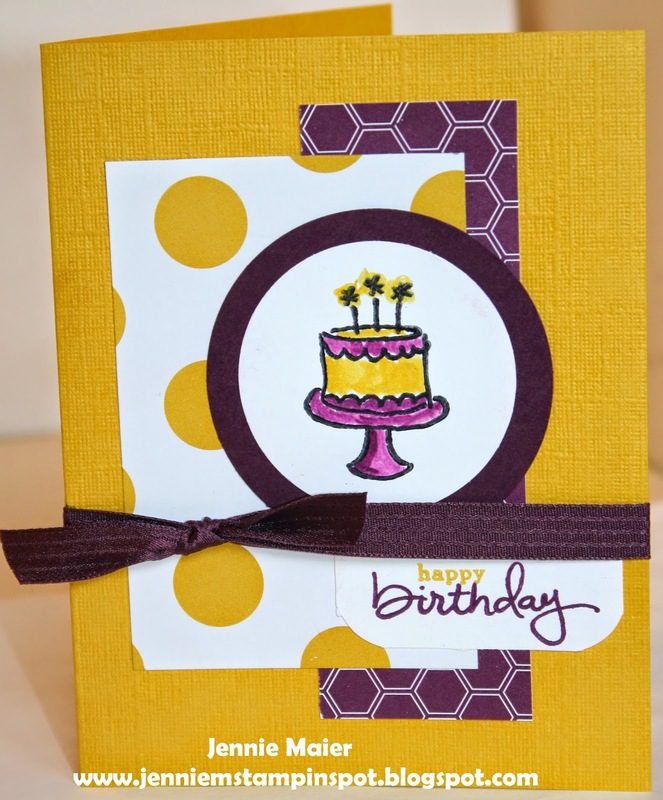 Blue Ribbon and Endless Birthday Wishes are the stamp sets with some Flashback DSP. Happy 18th Birthday Abby! Today is my daughter, Abby's birthday. We are blessed with a beautiful, kind, caring, funny and loving daughter. She leaves for college soon and will be missed a lot! But we know she's going to be a great teacher someday and wish her lots of fun! For this card I used the MojoMonday#354 here. 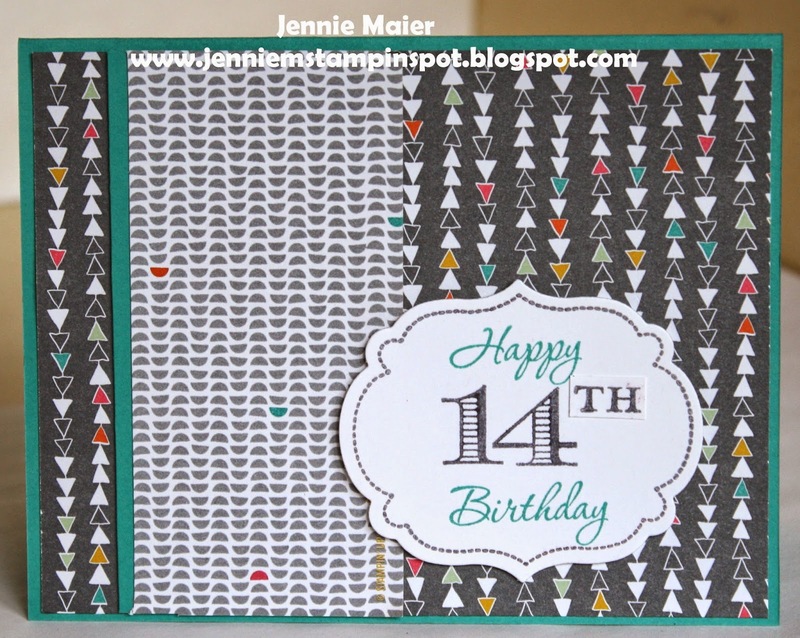 Endless Birthday Wishes is the stamp set with some Moonlight DSP and Flowerpot DSP. Showing off Some New DSP for a Sketch! This thank you uses the Create with Connie & Mary #311 here. Something to Say is the stamp set with some Flowerpot DSP. This birthday card is for the FabFriday#45 here. Memorable Moments is the stamp set with some Confetti DSP. 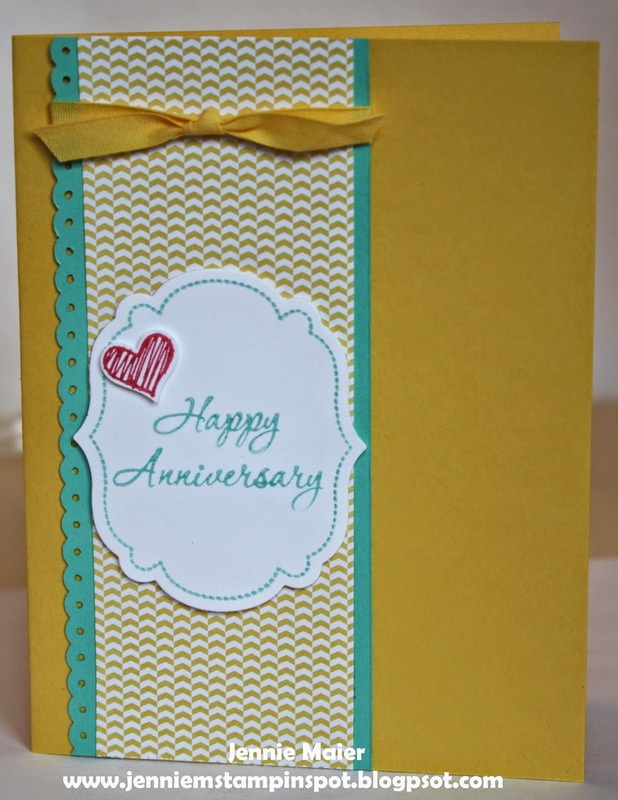 For this anniversary card I used the PPA#211 here. It's a color challenge to use Night of Navy, Daffodil Delight and Whisper White. I also cased this card by Lisa Fennewald here. 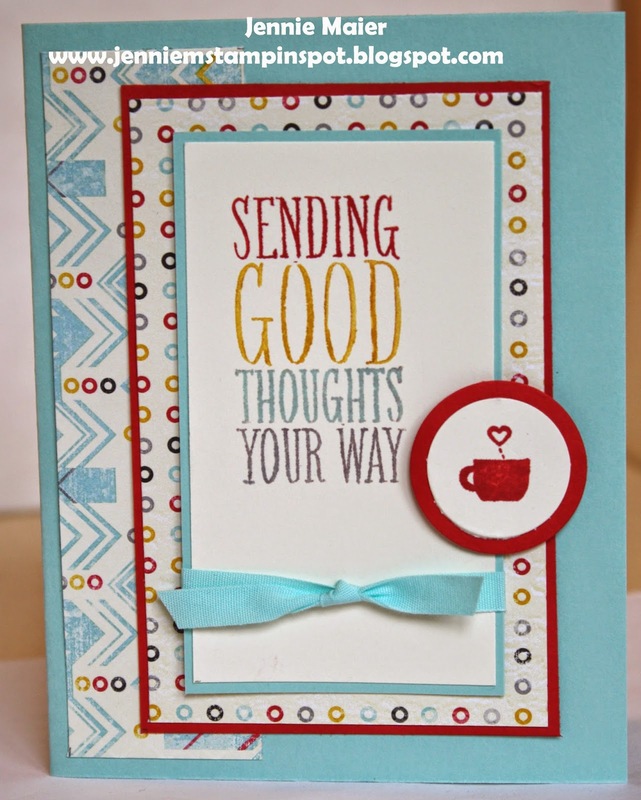 Just loved the look and changed up the colors and used Six-Sided Sampler with Teeny Tiny Wishes on my card. This card uses two Splitcoast Challenges. First, the sketch, SC496 here. And second, CC486 here. The Color Challenge is to use Calypso Coral, Daffodil Delight and Old Olive. Happy Hour is the stamp set. 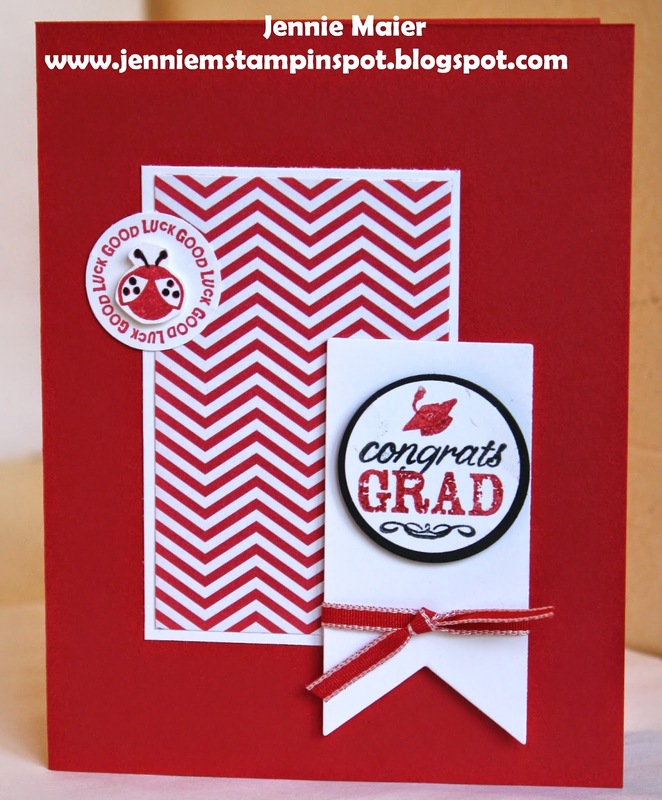 Another graduation card and this one uses the Freshly Made Sketch#144 here. Blue Ribbon and A Fitting Occasion are the stamp sets with some Brights DSP Stack. 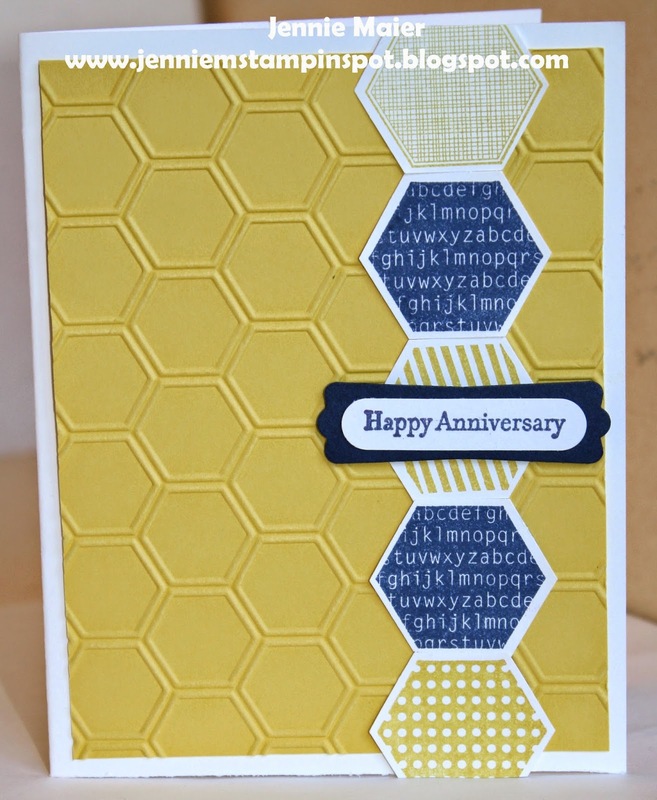 This anniversary card uses the MojoMonday#353 here. It also uses the Yippee-Skippee! and Flower Shop stamp sets with some Moonlight DSP Stack. Labels: Flower Shop, Mojo Monday, Moonlight DSP Stack, Yippee-Skippee! More thank you's needed so I used the Create With Connie and Mary #310 here. It's a color challenge to use the colors Real Red, Coastal Cabana and Night of Navy. 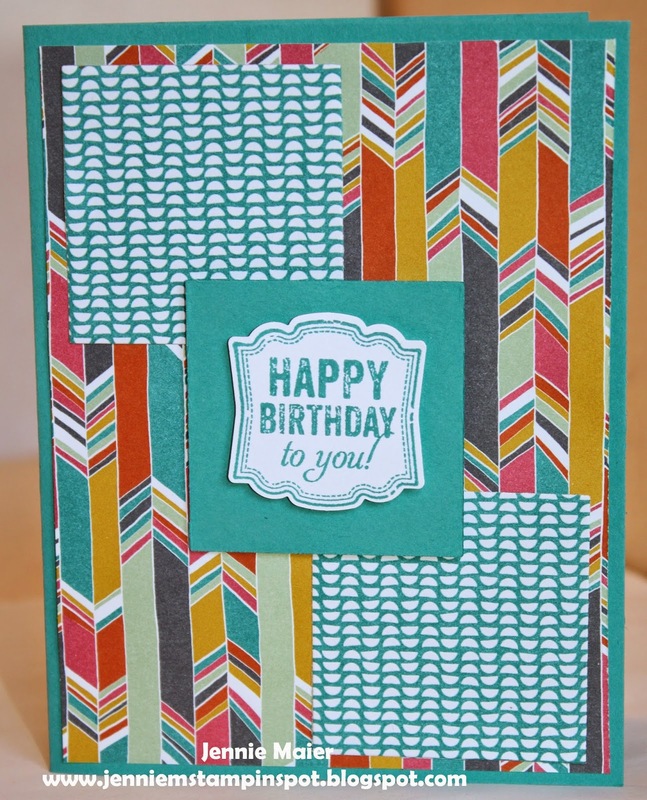 I cased my own card here cuz I just love this layout! 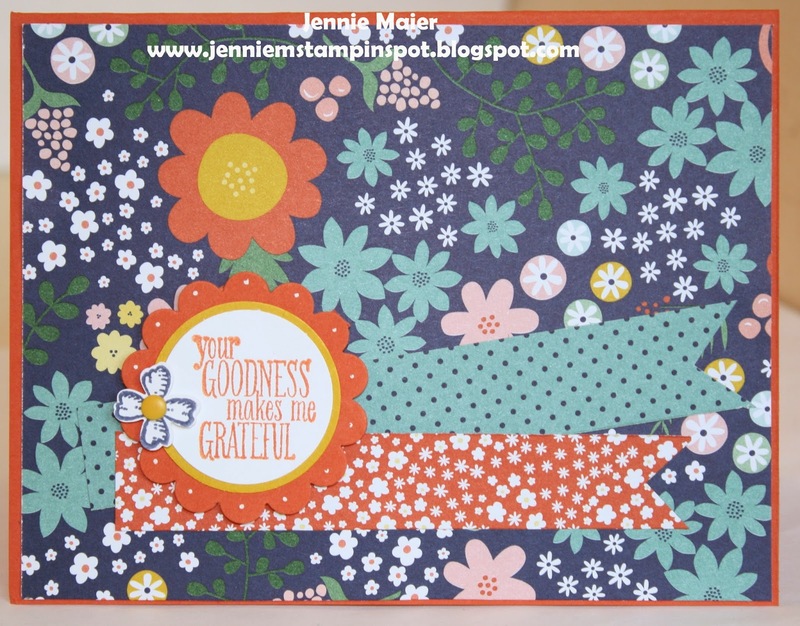 Embellished Events and Lots of Thanks are the stamp sets with some Brights DSP Stack. 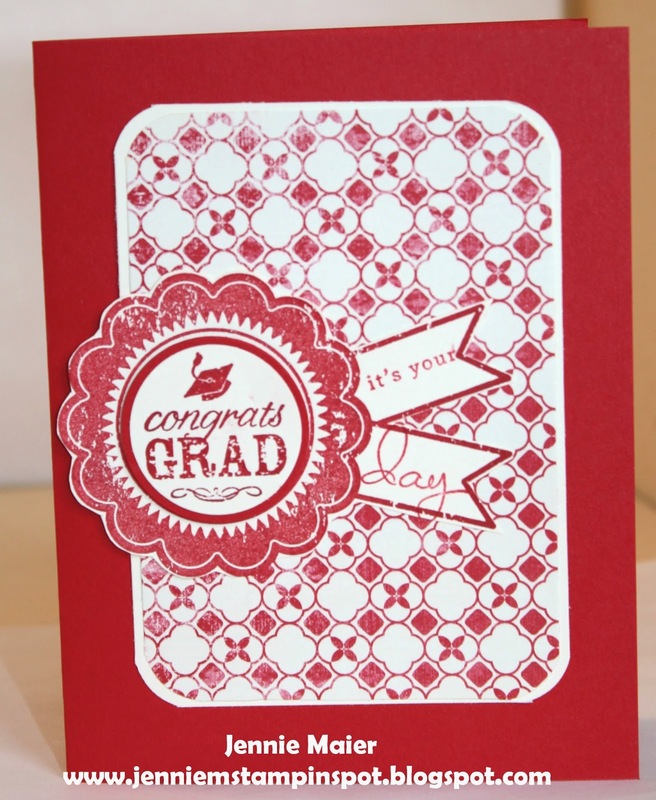 Just a few more graduation parties and this card uses the Splitcoast Sketch#495 here. I just flipped the sketch. Blue Ribbon is the stamp set with some Brights DSP Stack. This thank you card uses the Freshly Made Sketch#143 here. It also uses the Yippee-Skippee! and Something to Say stamp sets. Then there's some Sweet Taffy DSP and some Brights DSP Stack. Stamps: Something to Say and Yippee-Skippee! Labels: Brights DSP Stack, Freshly Made Sketches, Something to Say, Sweet Taffy DSP, Yippee-Skippee! 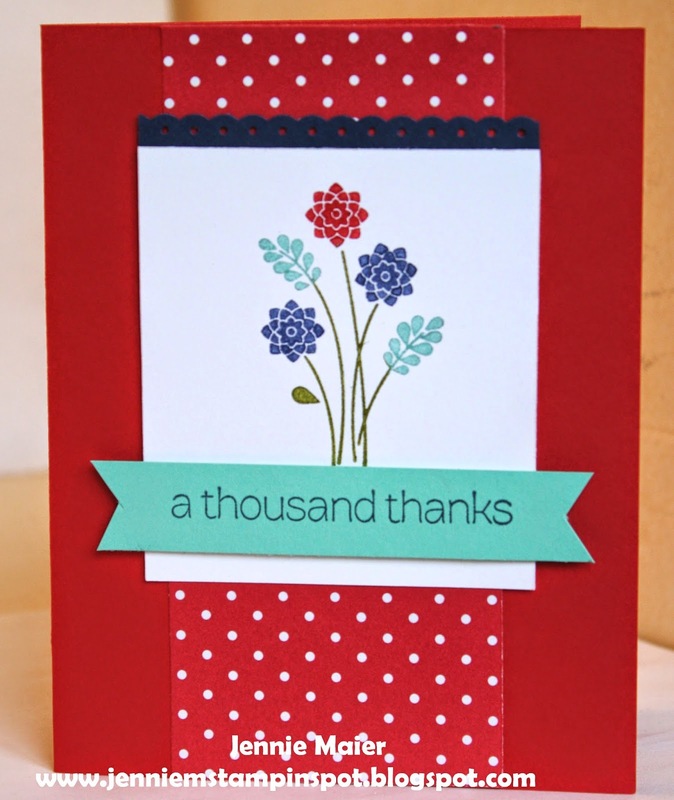 This thank you uses the Splitcoast Color Challenge #485 here. The colors to use are Hello Honey, Sahara Sand and Night of Navy. 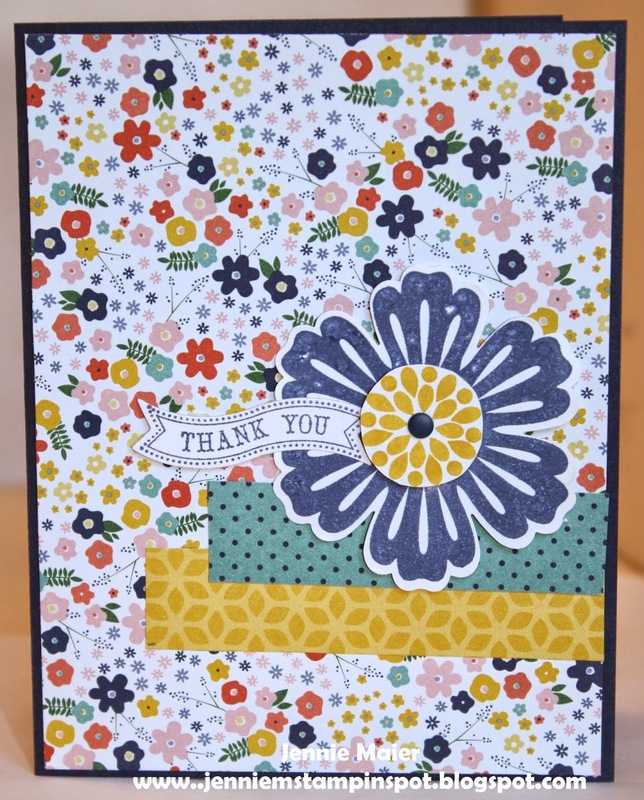 Flower Shop and Lots of Thanks are the stamp sets with some Moonlight DSP Stack. 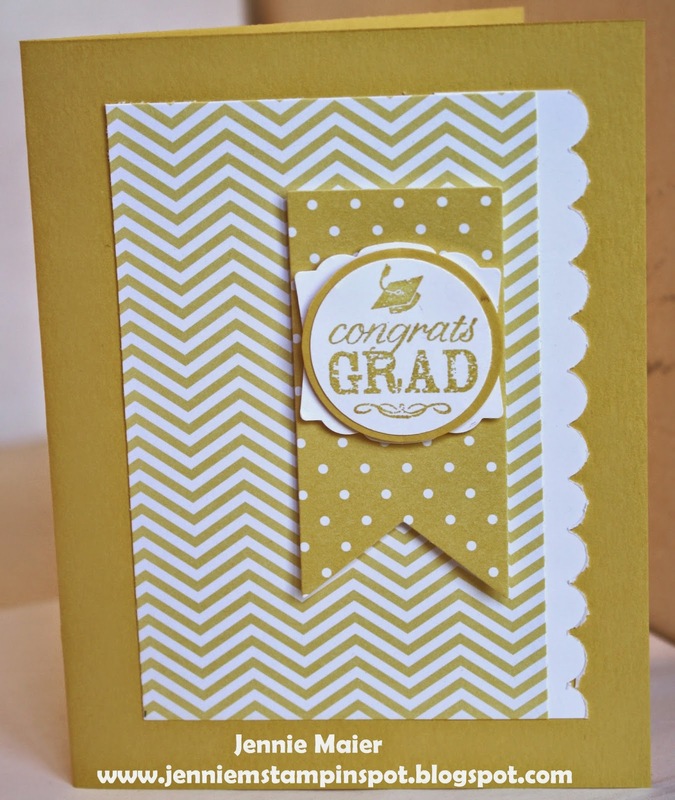 Yes, it's another graduation card. Still have more to make too! This one uses the Create With Connie and Mary Sketch#309 here. Blue Ribbon is the stamp set with some Brights DSP Stack.